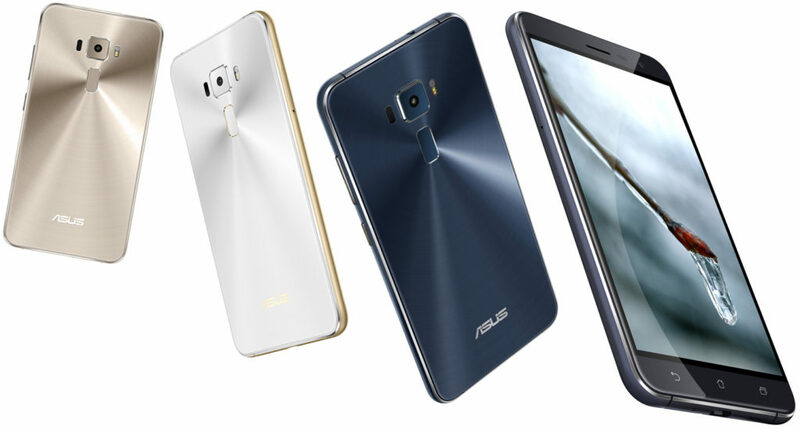 Asus again came into limelight with the launch new smartphones from its Zenfone 3 series. Asus is keen in launching a handful of flagships with exciting design ad grandeur. Now they have unveiled Zenfone 3, Zenfone 3 Deluxe and Zenfone 3 Ultra as a part of their Zenvolution event as part of Computex 2016. Like their predecessors, all the three smartphones look great with its enchanting design and advanced hardware features. The dimensions of Zenfone 3 come to be 152.6*77.4*7.7mm with a weight of 155 grams. The device supports Dual Nano-SIM with dual stand-by feature. Zenfone 3 holds a 5.5 inched display featured by Super IPS capacitive touch screen. This display supports 16M colors. Along with a resolution of 1080*1920 pixels and 401 PPI pixel density, the display holds nearly 70.6% screen to body ratio. This display is protected by Corning Gorilla Glass 3. Zenfone 3 is powered by Qualcomm MSM8953 Snapdragon 625 processor. This Octa-Core processor is made of Cortex A53 CPU unit with a processing speed of 2.0GHz. This extensive processor is supported by Adreno 506 GPU for extensive graphics. The device promises a RAM of 3GB along with an internal storage of 32GB. A higher version provides a RAM of 4GB along with an internal storage of 64GB. This storage can be extended upto 128GB with the help of external microSD memory card. Zenfone 3 has Android OS of v6.0.1 Marshmallow which provides excellent interaction with users along Asus’s own ZenUI 3.0. The primary snapper of Zenfone 3 has 16MP lens along with features like Laser or Phase Detection, Autofocus, Optical Image Stabilization along with Dual Tone LED flash. It can record video with 1080 pixels resolution. The primary snapper holds 8MP lens which promises that users can enjoy quality selfies with your loved ones. Zenfone 3 supports WiFi and Bluetooth along with GPS. This handset holds one USB of v2.0 and Type-C reversible connector. Zenfone 3 is featured by Fingerprint sensor, Accelerometer, Gyro, Proximity Sensor and Compass. Zenfone 3 is kept alive with the help of Non-removable Li-Ion 3000mAh battery. It is available in Sapphire Black, Shimmer Gold and Moonlight White colour variants. The price is fixed at $249, which is much economical when the features of Zenfone 3 are considered. Zenfone 3 Deluxe measures to be 156.4*77.4*7.5mm with a weight of 170 grams. This handset also supports Dual Nano Sim with dual stand-by. Zenfone 3 Deluxe is pinned with a 5.7 inches Super AMOLED capacitive touchscreen along with 16M colours. This 1080*1920 pixelled display also supports Multi-touch upto 5 fingers. This extensive display is protected by Corning Gorilla Glass 4. Zenfone 3 Deluxe is equipped by Qualcomm MSM8996 Snapdragon 820 chipset. This processor is comprised of Dual Core Kryo with 2.15GHz and Dual Core Kryo with 1.6GHz. The RAM comes to be 6GB along with an internal storage of 64GB. This extensive RAM coupled with graphics support of Adreno 530GPU could make your handset exceptionally powerful and swift. The external storage is provided with microSD memory card to upto 128GB, which uses the optional second SIM slot. Zenfone 3 Deluxe runs with the help of Android OS of v6.0.1 Marshmallow along with Asus’s own ZenUI v3.0. Zenfone 3 Deluxe is equipped with 23MP primary camera which ba cked by Sony IMX318. It has got 4-axis Optical Image Sensor. Other supported features include PDAF, Tritech Laser Autofocus tech, Dual Tone LED flash in addition to Sapphire Glass covering. The front cam comes with 8MP lens which is perfect in taking selfies. Zenfone 3 Deluxe supports both 3G as well as 4G with Cat13 LTE triband carrier. This handset also supports WiFi, Bluetooth with a v4.2, GPS, NFC and Infrared. It also supports USB port of v3.0 for faster date tranfers along with its typical Type-C 1.0 reversible connector. Zenfone 3 Deluxe has also got the backing of Fingerprint scanner to its back along with other supported sensors like Accelerometer, Gyro, Proximity Sensor and Compass. Zenfone 3 Deluxe is powered by a 3000mAh non-removable Li-Ion battery. With its Quick Charge 3.0, this battery can be charged upto 60% within just 40 minutes. Zenfone 3 Deluxe will make its way towards retailers with a price tag of $492. Folks are allowed to pick any of the colour variants like Shimmer Gold, Glacier Silver and Titanium Gray. Zenfone 3 Ultra is the biggest handset that was launched by Asus among the three. It marks a measurement of 186.4*93.9*6.8mm with a weight of 233 grams. Like its counterparts this handset also supports Dual Nano SIM ports. Zenfone 3 Ultra will be liked by those who prefer a broader handset. The display comes to be 6.8 inches with a resolution of 1080*1920 pixels. This IPS LCD capacitive touchscreen also supports multi-touch upto 10 fingers. This display is protected by Corning Gorilla Glass 4. Zenfone 3 Ultra is packed Qualcomm MSM8976 Snapdragon 652 processor. This processor is made of Quad Core Cortex A72 with a processing speed of 1.8GHz and Quad Core Cortex A53 with a speed of 1.4GHz. 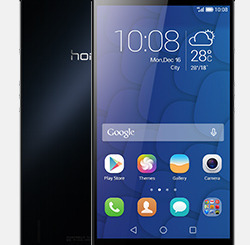 This premium handset is marked by a RAM of 4GB with an internal storage of 64GB. This storage is extended upto 200GB with the help of microSD memory card. With the help of Adreno 510 GPU, Zenfone 3 Ultra can handle high end games as well. It is run by Android OS of v6.0.1 Marshmallow along with Asus ZenUI v3.0 on the top. Zenfone 3 Ultra also holds a primary camera with 23MP lens along with 4-axis OIS. Other supported features include Laser or Phase Detection Autofocus and Dual Tone LED flash. It also got features like Geo-Tagging, Touch Focus, Face Detection, HDR and Panorama. The front cam is packed with 8MP with a resolution upto 1080 pixels. Zenfone 3 Ultra supports both 3G and 4G. Zenfone 3 Ultra has also got support of WiFi of v802.11 a/b/g/n/ac, Bluetooth of v4.2, GPS, Infrared and FM Radio. This handset also supports USB of v2.0 along with Type-C 1.0 reversible connector. Zenfone 3 Ultra also got Fingerprint sensor to its back along with other sensors like Accelerometer, Gyro, Proximity and Compass. Zenfone 3 Ultra has got an extensive non-removable Li-Ion battery with a capacity of 4600mAh. This can be quickly charged to 60% within just 45 minutes with the help of Quick Charge of v3.0. You can grab Zenfone 3 Ultra by paying a sum of $479 and can select from various colour variants like Metallic Pink, Glacier Silver and Titanium Gray.